Have you ever bought anything online? I’m sure you did. Nowadays it’s becoming hard to find somebody who hasn’t ordered anything on the Internet. But what about selling? After all, that’s what you’re interested in. Thanks to platforms like Shopify, setting up your very own online store and building an eCommerce business is becoming easier than ever. 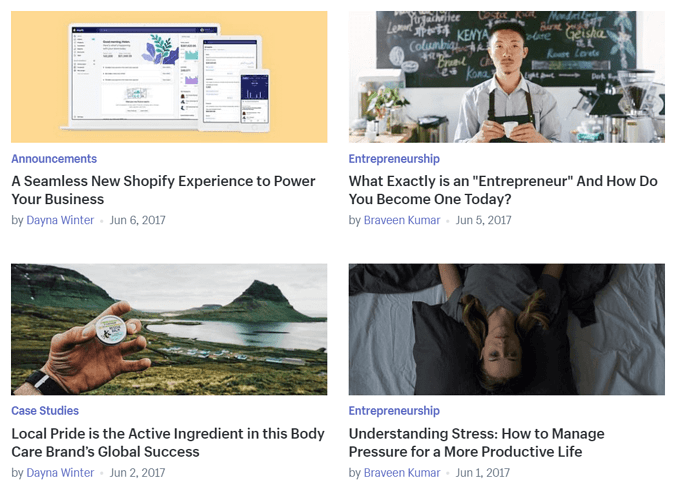 In this article, I will take a closer look at Shopify – a Facebook-owned eCommerce giant that is revolutionizing the way people run their online businesses. 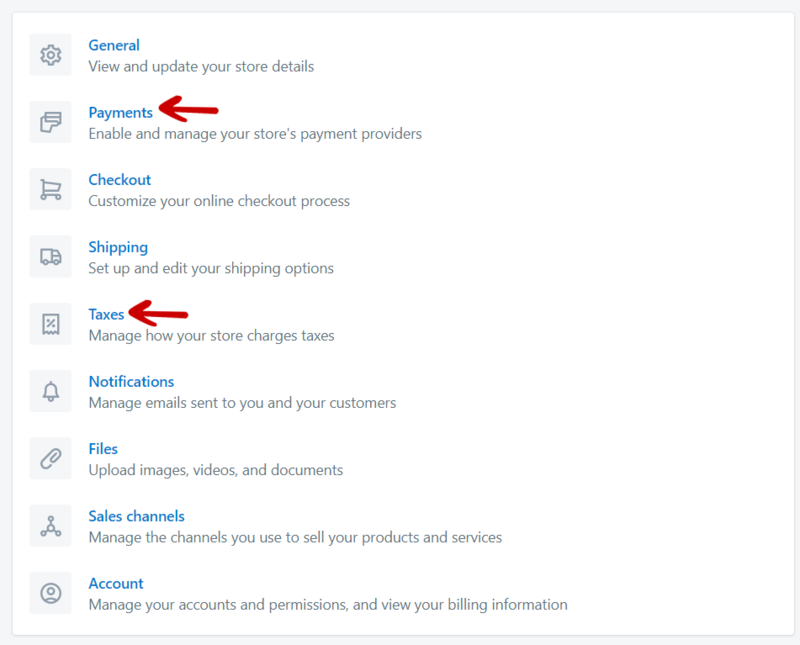 Part 1: What is Shopify? Who is it for, its features and pricing. 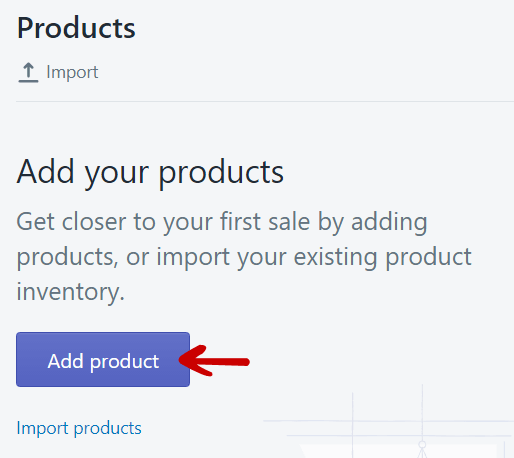 In this section of my Shopify review, I will look into everything you need to know about the platform before you even sign up for a trial (hint: they have one – but I will tell you more about it later on). 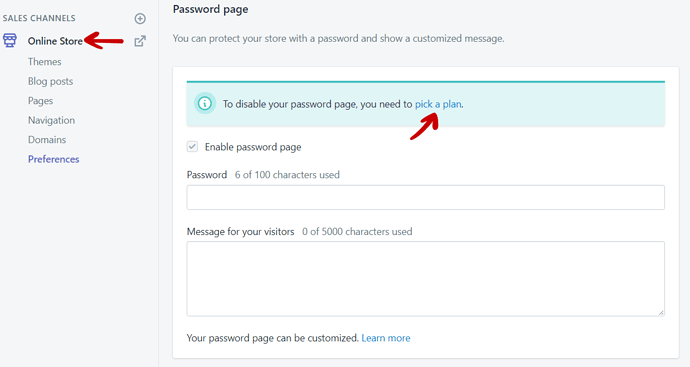 Later, in part 2, I will discuss the process of signing up and managing your account (whether it’s easy and intuitive so that even a beginner can create a store without technical knowledge). Part 3 is a summary, covering all the critical pros and cons once again. 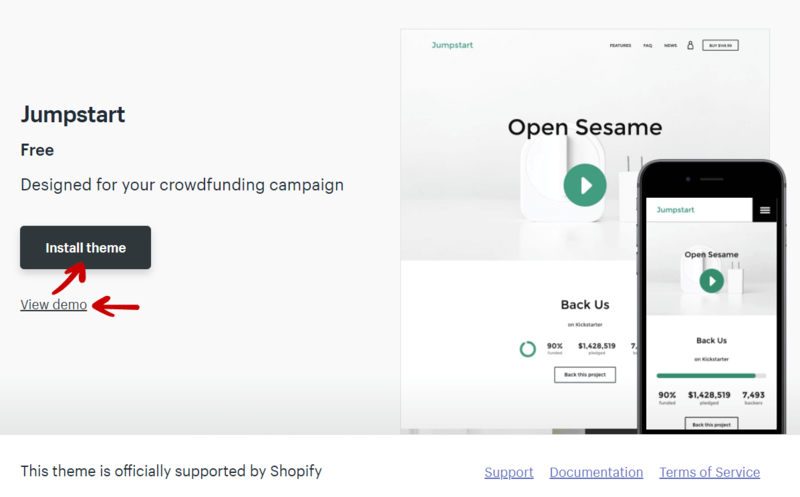 If you have never come across it, Shopify is an eCommerce platform that allows its users to create online stores and sell their products without the hassle of hosting, coding, payment processing and many other things busy entrepreneurs don’t want to deal with. All that for a nominal monthly fee. Sounds too good to be true? 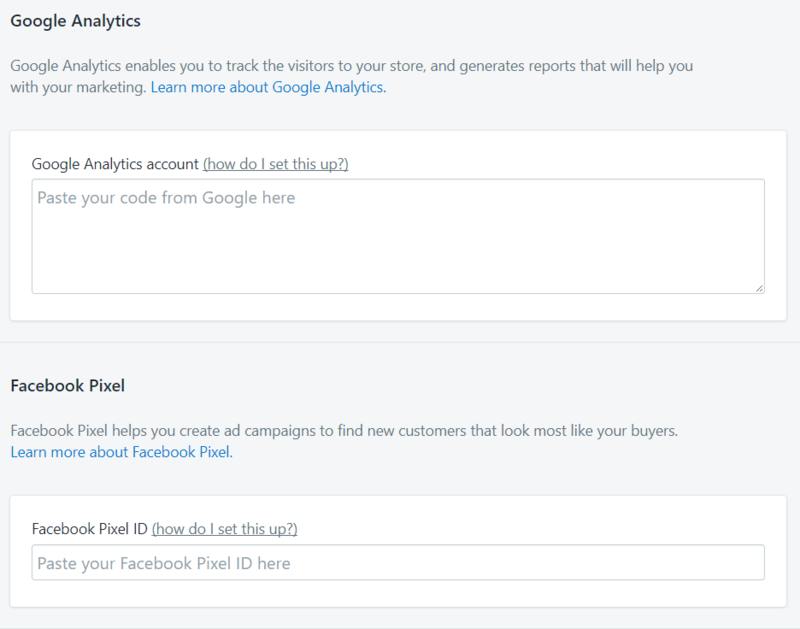 Let’s find out how it works out in practice – welcome to my in-depth Shopify review. The platform is beginner friendly and can be used by businesses of all shapes and sizes. Its primary customer base consists of people who want a ready-made solution for running an eCommerce store. Thanks to the affordable fixed monthly fee, it’s perfect especially for those starting on a tight budget, as that way they can predict how much they’ll spend on the store in a given month and direct their focus and money on marketing. Of course, the fact that it’s beginner-friendly doesn’t mean you should leave the platform once your store expands. As you will see, there’s something for everyone. The goal is to allow entrepreneurs do what they do best – focus on running their business and taking care of their customers. Without worrying about the technical stuff that could be overwhelming or too expensive for a beginner to deal with. Is Shopify exclusively for eCommerce? 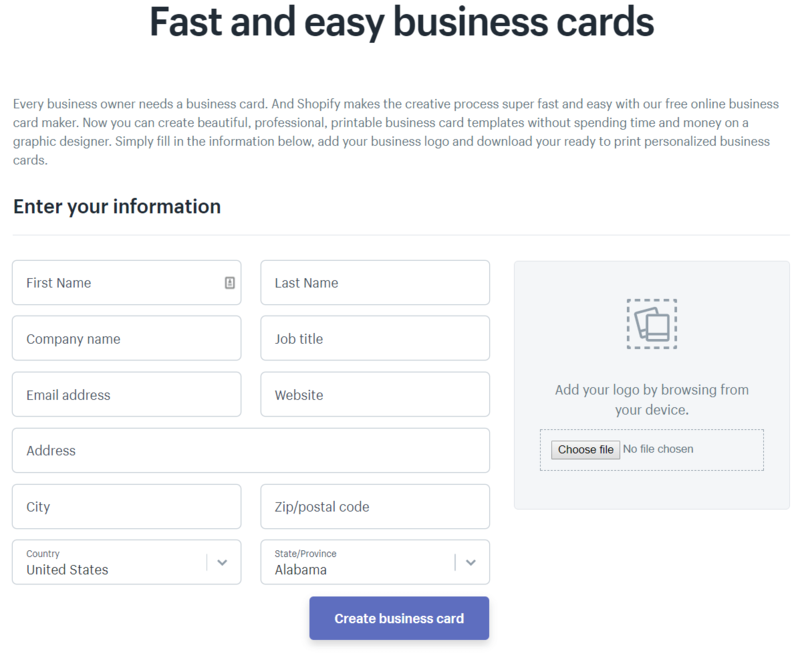 This might sound surprising – but what distinguishes Shopify from many of its competitors is the fact that it can be used by both e-businesses as well as brick and mortar stores. Thanks to Shopify POS, a fully integrated point of sale system, you can manage your sales both in the online and off-line world with one account. This gives businesses a chance to cross-promote their products between the two channels, leverage their presence in the online world (and vice-versa) and makes it super easy for current brick and mortar entrepreneurs to enter the online commerce world. Does Shopify provide web hosting? Yes, it does. All the main plans (to which I will get in a second) come with an unlimited eCommerce hosting. And the best is, you don’t have to setup anything. People at Shopify take care of everything for you – from helping you configure your store domain name all the way to upgrading the software. And, And thanks to the unlimited bandwidth, you can attract more and more customers without worrying about the costs of your hosting. But that’s not all. Every Shopify store is level 1 PCI compliant, meaning that the data of your customers is secure. Moreover, the hosting comes with a very important feature for every entrepreneur, especially those who intend to target customers from all around the world – content delivery network. What is it? Imagine you live in Australia and want to browse the offer of a store that’s hosted in the United Kingdom. That’s quite a long distance, isn’t it? Because of that, the loading time of the store would be a few seconds longer compared to the local customers. Not cool. No one has the time to deal with slow websites. Thanks to content delivery network, your Aussie customers don’t have to connect to a server in Great Britain every time they want to browse through the photos of your products. 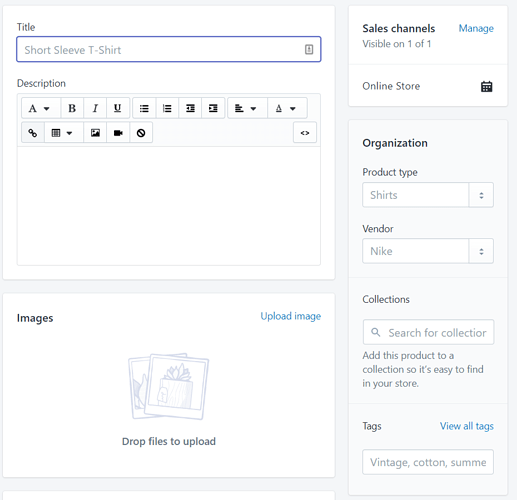 They will be connected to a much closer server that also happens to store some of the files of your store, significantly improving their customer experience. Of course, you might wonder – what if I don’t need a hosting? 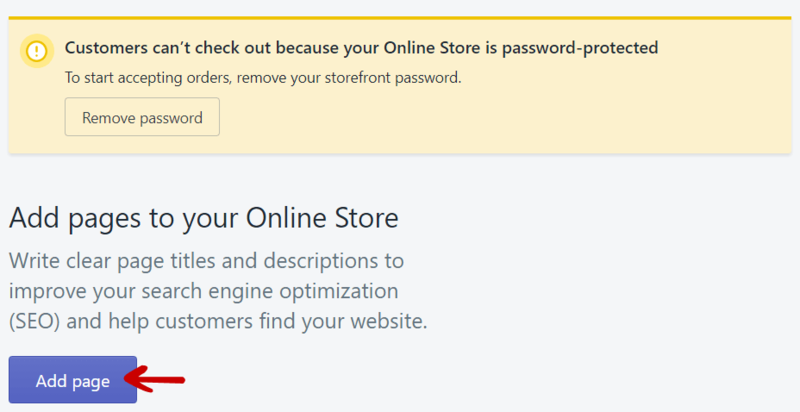 Surprisingly, Shopify caters to those who already have a hosting or don’t need one too. And I don’t mean just brick and mortar business owners who want to take advantage of the Shopify POS. 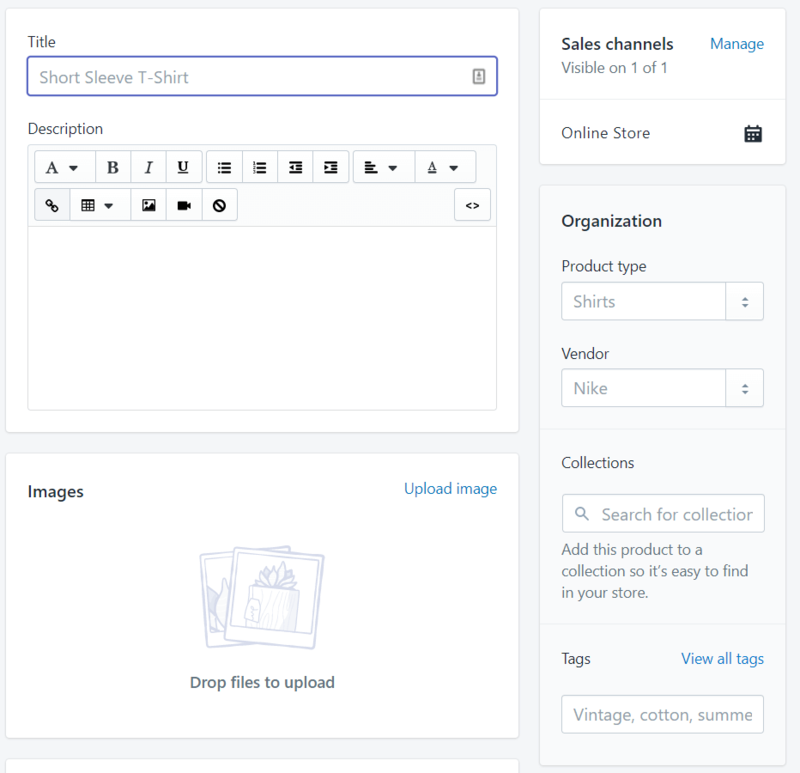 For those who already own a blog or a popular social media channel, Shopify offers a lite plan that allows them to sell their products on websites such as Facebook or include a Buy Button on their site. That way they can use Shopify as their payment processor and management dashboard without the need to set up a separate store. What are the Shopify plans and how much do they cost? 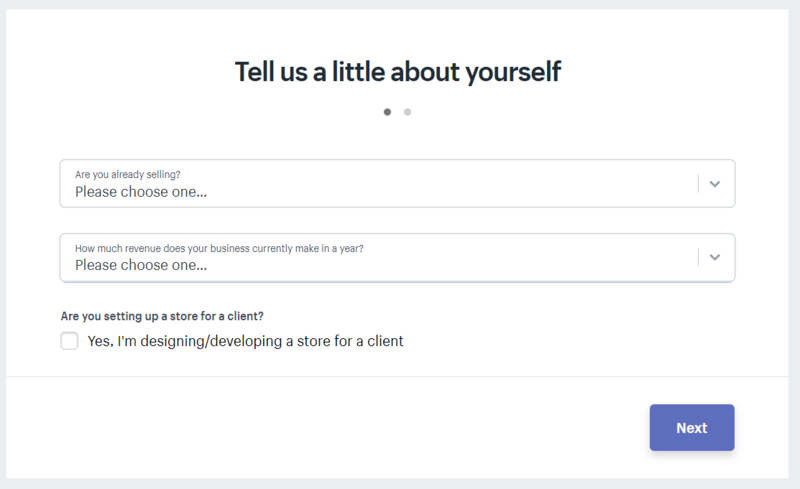 As I already mentioned above, Shopify offers a variety of different plans (five in total), aimed at businesses of all sizes. The first one, called Lite Plan, allows you to sell your products on your existing website, in person or on social media and use Shopify to process your payments. It doesn’t offer any hosting and costs $9/month. 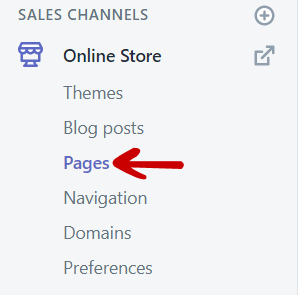 While it’s a great opportunity for those with websites who don’t want to build their own stores, we are more interested in the other plans – let’s quickly introduce each of them. Basic Shopify ($29/month) – this is where most entrepreneurs begin their journey. The most basic plan comes with out-of-the-box unlimited bandwidth and file storage capacity. Just like in any other of the free plans, you can also add unlimited number of products to your store and get a free SSL certificate and fraud analysis of your transactions. The biggest limitation is the number of staff accounts for your employees and virtual assistants, as you can add only two. Moreover, while you can create discount codes, you can’t create gift cards to boost your marketing efforts. 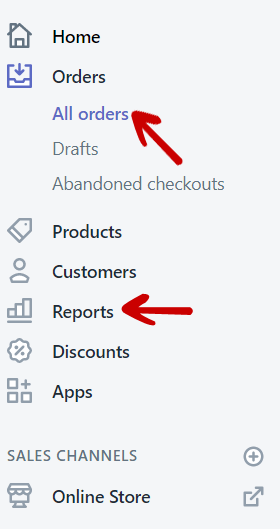 There’s also no abandonment cart recovery and reports are rather basic. 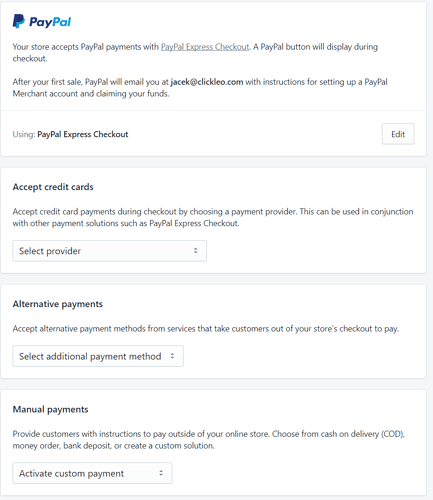 Also, the fee for each processed sale is higher than in other plans – 2.9% + 30¢ for each online sale, 2.7% for each sale in-person and extra 2.0% if the payment was done using an external gateway such as PayPal or 2Checkout. But, if you’re just starting out, you don’t have to worry about that and probably won’t need robust reporting. Even in the basic plan, you can create a complete online store and sell your products to hundreds of customers. Shopify ($79/month) – when you are ready for growth. The second plan is a perfect choice once you master the basics of running an eCommerce store and want to expand your customer base. You can finally create gift cards and hire as many as five people to help you manage your venture. In addition to that, you can get back more customers who quit before they finalised the transaction. All that thanks to the abandoned cart recovery system. On top of that, you can get a better insight into business thanks to professional reports. Of course, as you increase the volume of your sales, the fees for processing payments go down. In the “Shopify” plan, each online sale costs you 2.6% + 30¢, 2.5% for sales done in-person and extra 1.0% for using external payment gateways. Advanced Shopify ($299/month) – when you’re growing fast and need to scale. The last plan is prepared specifically for those who got the ball rolling. 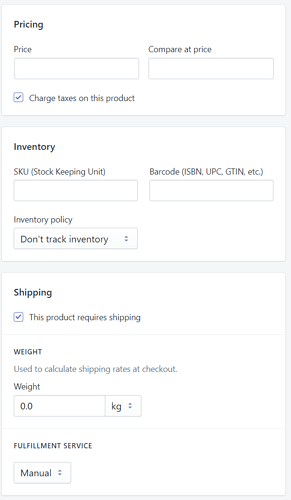 The only two new features are a robust report builder and the ability to show third-party shipping rates at the checkout. But while the former can help you manage your business and the latter can increase your conversion rate, at this point what you need the most is the next cut in fees. 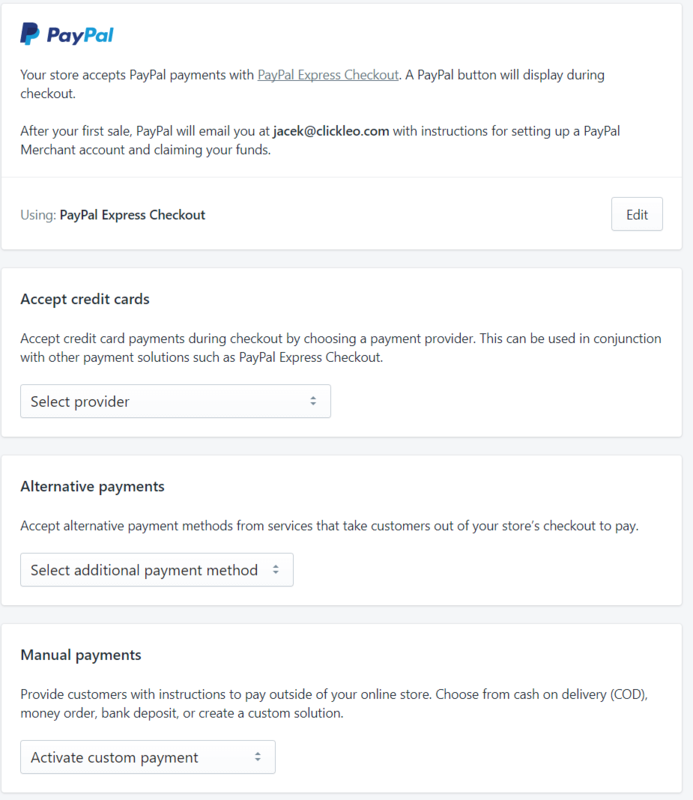 From now on, every online sale will cost you 2.4% + 30¢, 2.4% if you sell the item in person and just 0.5% extra for processing the payment using an external gateway. There’s also “Shopify Plus,” aimed at high volume merchants, who are running large businesses and sell hundreds of products on a daily basis. But the details of this plan are usually negotiated separately. Does Shopify offer a free trial? Yes – and it lasts whole 14 days! And the best is, you don’t even need a credit card to sign up. This means you can register, start exploring and don’t have to worry about the deadline (unless you finish building the store within that timeframe. In this case, to make it public, you’ll be asked to pick a plan. You won’t get charged before the trial expires anyway. But if you’re not ready, you are free to sign up for a paid plan at a later date. Of course, you will not be able to use the store without paying after the trial expires. What support does Shopify provide? Paying a monthly fee for a service is no joke – especially if you’re just a beginner. Having to deal with everything on your own could be too overwhelming. No surprise most clients expect a top-notch support. Blog with free business lessons – If you don’t know where to start, it’s good to read their blog. The many published stories and case studies are focused on helping you overcome not just the technical problems but also obstacles not related to eCommerce itself, such as stress or multi-tasking. Educational Guides – On the other hand, if you need a little bit more in-depth knowledge on a particular topic, you will find a dozen of marketing and business guides available free of charge. The topics include Facebook advertising for eCommerce entrepreneurs, shipping, making your first sale or writing a business plan. Community forum – Sometimes, you might be looking for an answer to a quite common problem that others have already solved multiple times. 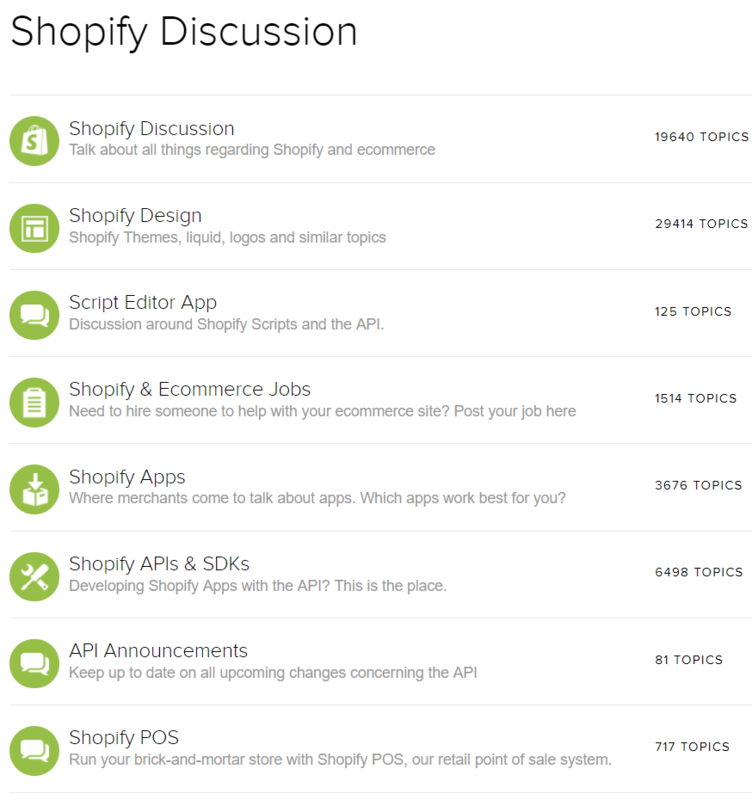 In this case, instead of waiting for the reply from support, it’s worth visiting Shopify’s very active community forum. There are already thousands of topics covering numerous issues, from setting up and running the store, all the way to marketing and scaling your e-business. 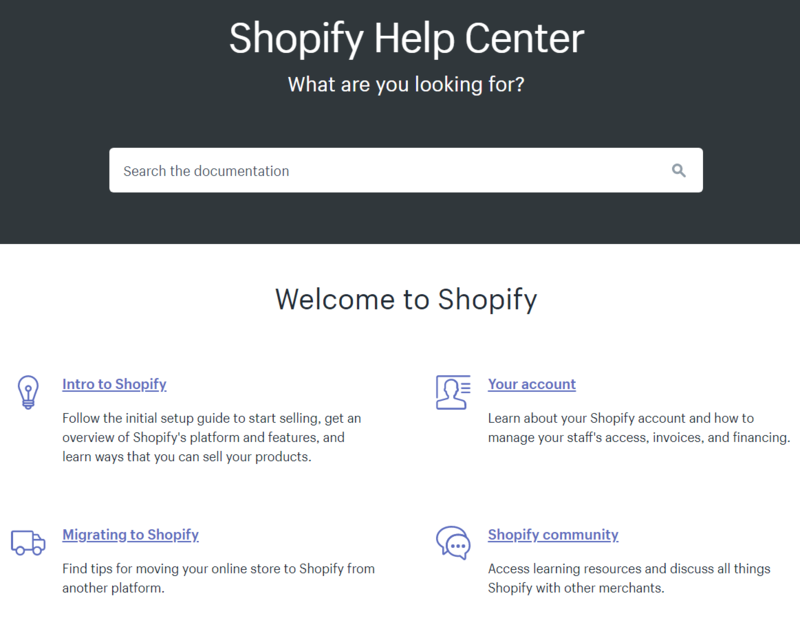 Shopify Help Centre – If you find the forum way too cluttered, you might want to take a look at Shopify help centre. There, you can access all critical topics. Everything is split into categories, making it very easy to browse and find answers to your questions. Moreover, you can use a convenient internal search engine to search the documentation. 24/7 support – Sometimes you just won’t find the answer to your issue, or you might need more personalised help. In this case, you can reach out straight to support. The team is at your service 24/7, and you can contact them via chat, email, Twitter or just give them an old-school call. Can Shopify help me run my business? As you can see, Shopify is doing its best to make the running of your business a smooth and enjoyable process. It’s no surprise – they know that if you succeed, they get to keep you as a client. A tip: that’s the thinking you should have when choosing the products that you are going to sell. Two-step authentication – To make your account more secure, you need to provide your password as well as a single-use authorization code, which you can generate using a mobile app or get via a text message. Compliance with PCI (Payment Card Industry) standards – Your customers and their payments are protected from start to finish. The security team at Shopify keeps watching their stores and makes sure that all technical aspects of processing payments are secure and up-to-date. SSL Certificate (free for all stores) – A quality SSL certificate encrypts your online store’s content and delivers it to your visitors securely using HTTPS instead of HTTP. This new layer of encryption both protects your customers and their data and gives your store more credibility, making your customers feel safe and more eager to make a purchase. Fraud analysis – This system looks into your payments and scans them looking for all the suspicious ones, which could be made using stolen credit cards or fake personal details. All that protects you from getting your goods stolen, reduces the risk of chargebacks and helps you keep a better history with your bank. Do I need technical skills, coding or anything like that to set up a Shopify store? Not at all. 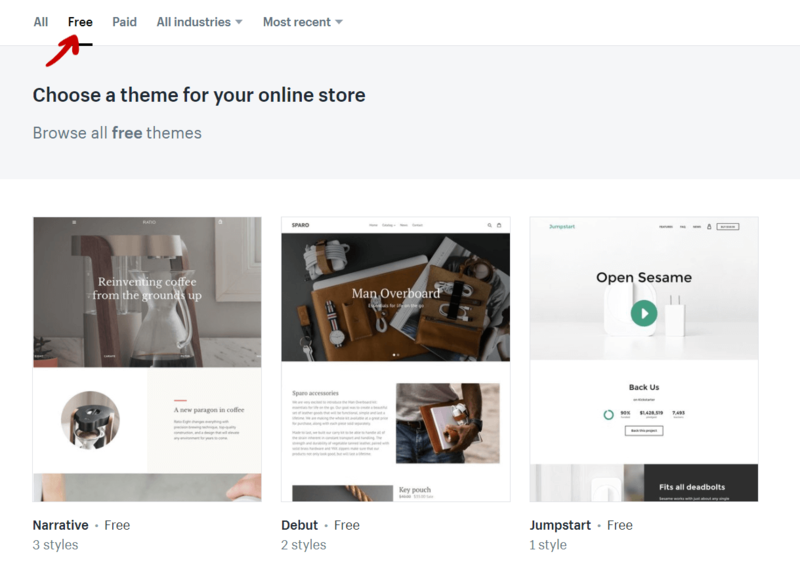 The whole platform is beginner-friendly and many of Shopify customers use it to create their very first eCommerce store. 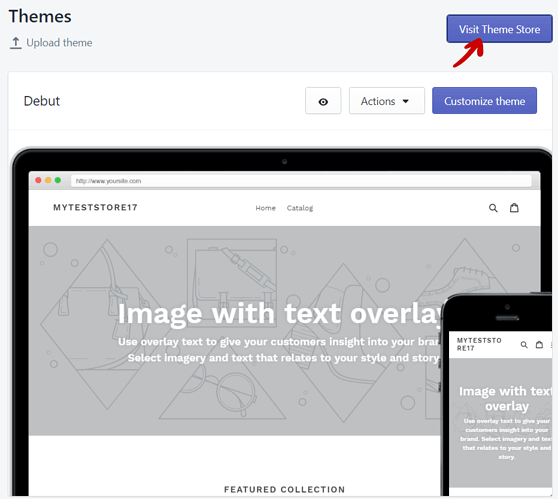 There are tens of themes which you can use to get a great-looking store without any graphic design skills. There are also extra Shopify apps such as a robust drag-and-drop builder (created by members of the Shopify community and therefore paid for separately) that will make the process of building your store even easier. And, if you have the budget, you can hire Shopify experts to help you get the job done. If it’s legal and there’s demand for it, you can probably sell it at your Shopify eCommerce store. Millions of products in thousands of niches are sold by stores created and hosted using Shopify on a daily basis. It wasn’t easy to choose the best ones. Let’s get the ball rolling with a big energy boost. 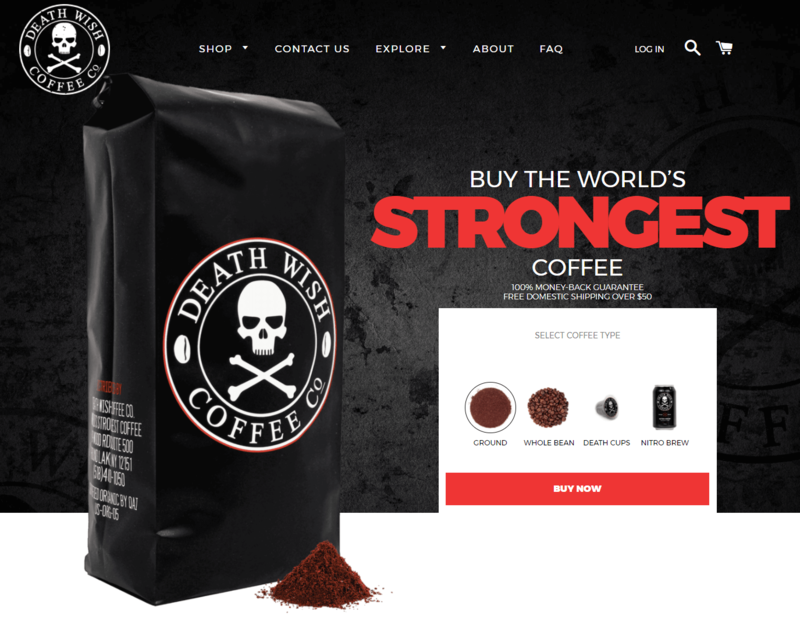 Death Wish Coffee is probably the world’s strongest coffee. Thanks to its great branding and unique product, the store has become a great success. Even though not everyone would dare to drink their product, they can’t complain about their sales. 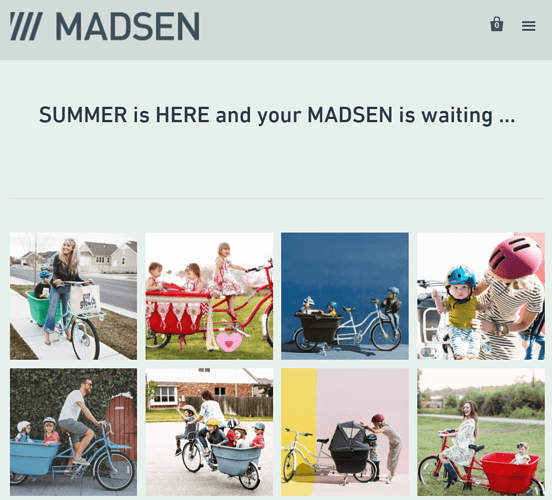 If you thought that Shopify is good for selling small products such as accessories, phone cases or jewellery, you’d better take a look at Madsen Cycles. Their success proves that you can build a Shopify store and sell anything you want – even bikes. And they are most certainly not your everyday bicycles. Speaking of “small” and big items, I could not miss the next shop on my list. Island Creek Oysters proves that you can turn selling oysters into a very well-branded business that sells a lot more than just food. 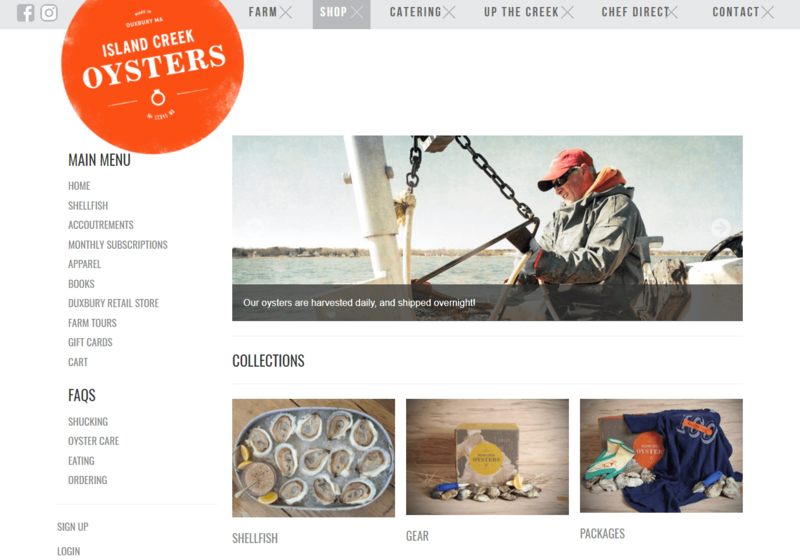 Their offer includes apparel, books, farm tours, and even monthly subscriptions for oysters. I chose this store specifically for those who believe that only small companies use Shopify. 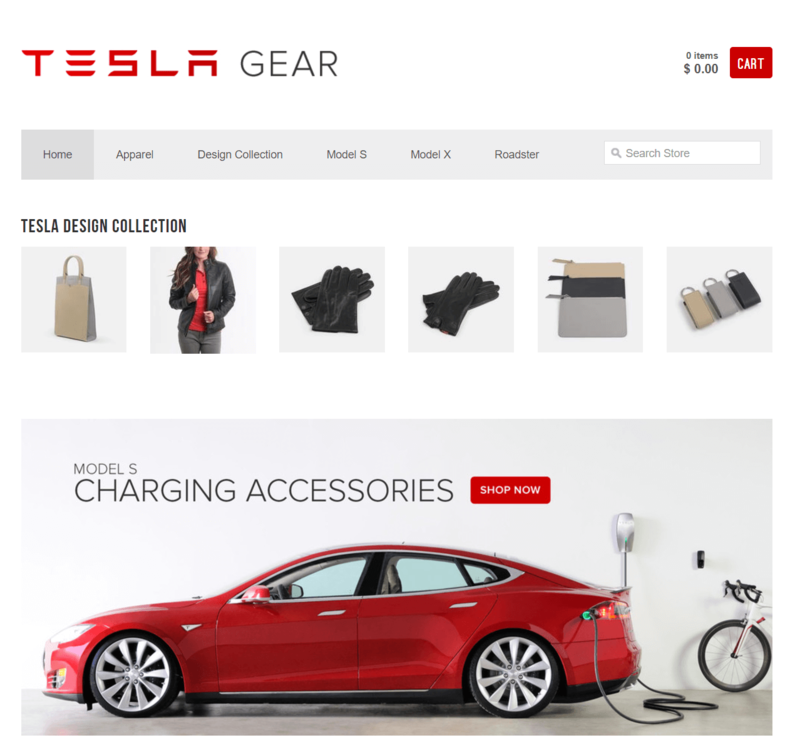 If you have ever heard about Tesla motor, then you know it’s a multi-billion company, and their cars are among the most luxurious and sought-after on the market. While you can’t buy a car, you can choose from tens of spare parts. All that without even leaving your house. When it comes to online commerce, there’s room for everything. As you could see, you can sell food, bikes, car parts, clothes, accessories. The last example is there to show you that even if you are more of an artist than a businessman, you can find your niche and succeed. In fact, a Shopify store is a great way to get yourself out there, build a brand and make money on what most of the time is just a hobby. 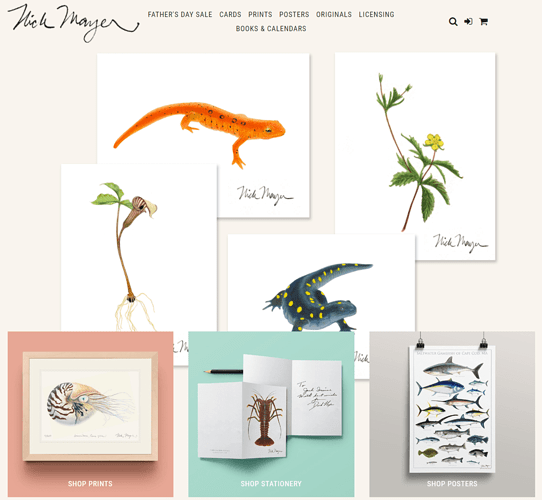 And if you already make a living selling your own art – definitely take a closer look at Nick Mayer’s store and get ready to set up one of your own. 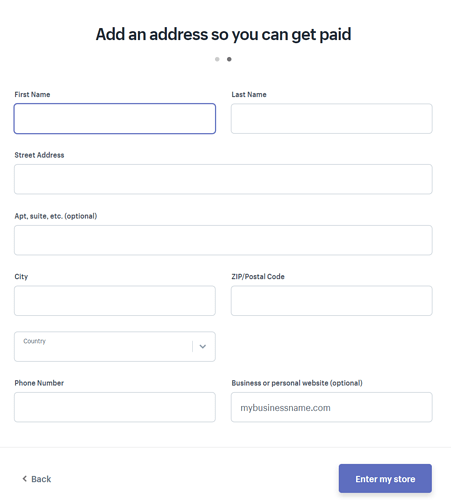 In this part, I will quickly go over everything that you need to know about signing up and creating your very first Shopify account. Because I’m a big fan of letting others try the product before they pay for it, I will show you how to start with a trial account. That way, you can play with it for 14 days, without spending a dime. You will be asked to come up with your store name – remember that this name becomes your brand and is a part of your store address: www.yourstorename.shopify.com. Of course, you should buy a .com later on. In the last step, you will be asked to provide your personal details. After that, hit “enter my store.” That’s it! You will be taken to a dashboard that will guide you over all the info that you should include to make the management of your store easy and increase the chance of conversion. There, click “Payments.” I also marked the taxes menu here, as it’s critical to set everything there, before you start selling. When choosing a payment processor always take into consideration fees, seller and buyer protection programs and policies, as well as the popularity of a chosen gateway among your potential customers. Although Shopify is a beginner-friendly platform, running an eCommerce store is a serious business. There are people who invest thousands and become millionaires just from selling products online. And the competition can be really tough. 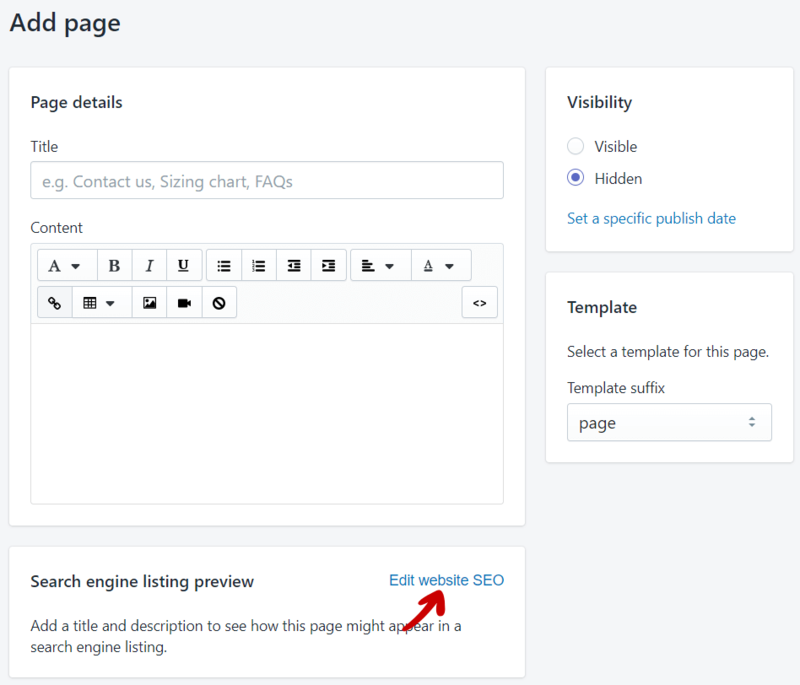 There, you will be asked to set the home page title and meta description of your store. This is what people will see when they share a link to the homepage of your store in their social media or when they come across your store in search engines. Categories, which in Shopify are called collections, are an excellent way of categorising your products, helping your customers navigate around the store and find exactly what they are looking for. You can create both main collections as well as corresponding subcategories. For example, your top collection could be shirts, and a sub-collection would be “casual”. 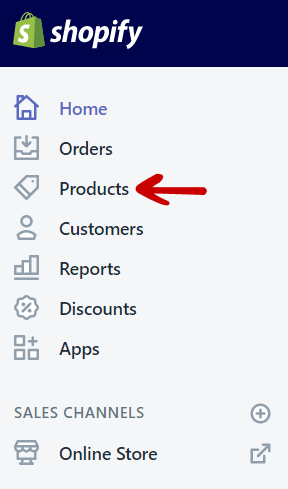 To create your first category, click “Products” and “Collections” in your admin dashboard menu. 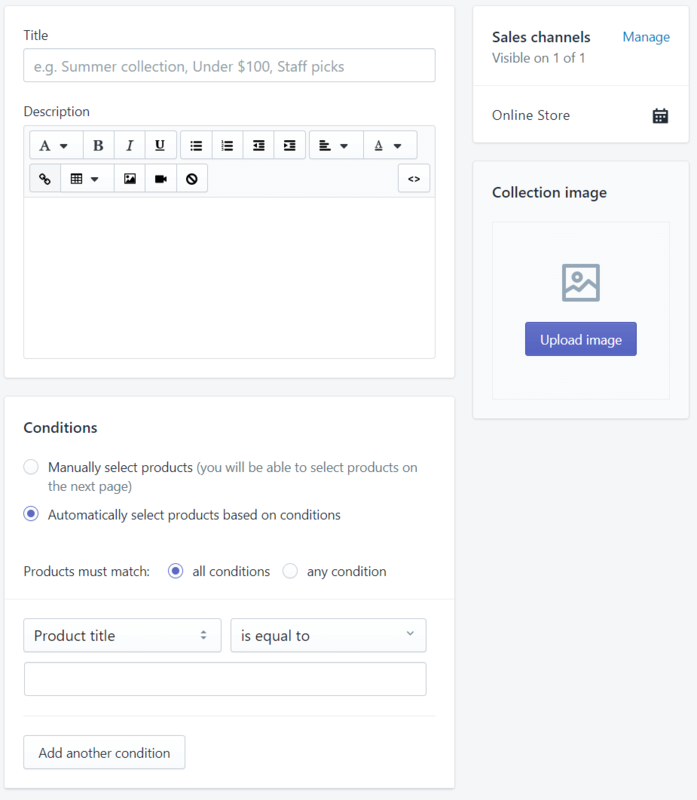 Then, select “Create collection”. 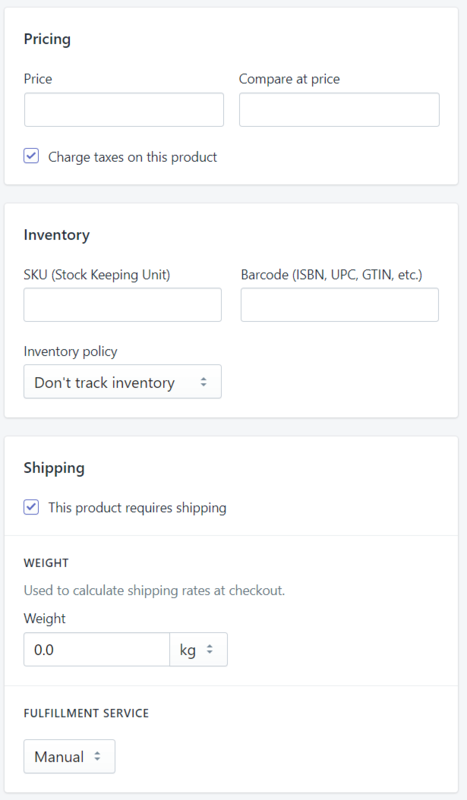 The beautiful thing about creating collections is that you can either add your products to them manually or use an automated rule, depending on price, product title, vendor, type, weight, shipping and a few other options. Add an image and, as always, don’t forget about search engine optimisation. 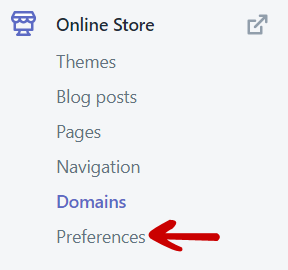 If you can’t see it, go to the Preferences tab of your online store and scroll down. 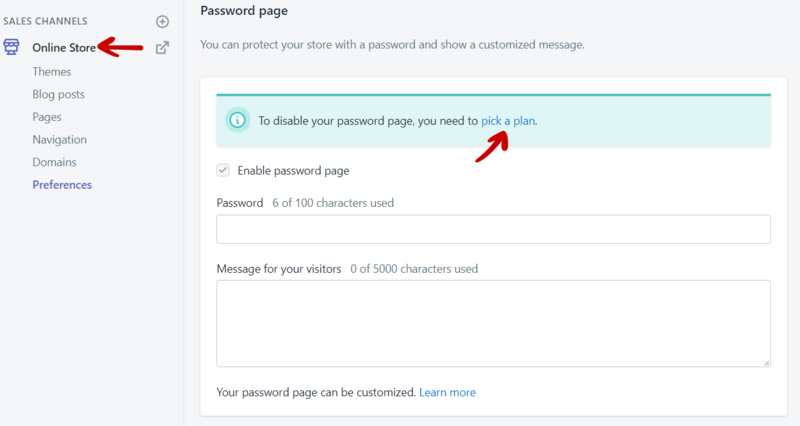 If you are using a trial Shopify account, click “pick a plan” to select your Shopify plan. Note that you will not be charged until the end of the trial period. Now that you know what to expect from Shopify and how to deal with the most basic tasks, it’s time to sum everything up and help you make the final choice. Speed & Security: the two things every beginner cares about. If you want to focus on your business, want a reliable platform and don’t want to worry about the security or the increasing number of your store visitors, Shopify is probably the number one choice for you. You won’t have to worry about anything technical at all! 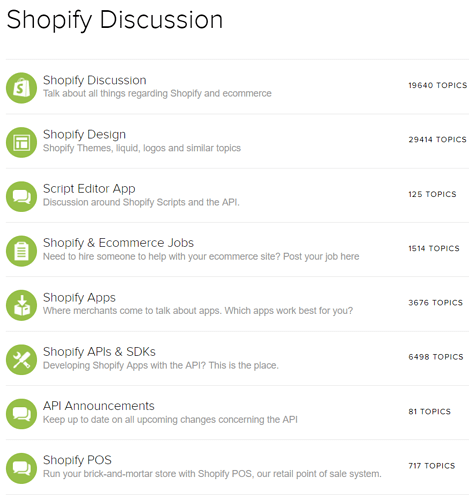 Huge and helpful community: Shopify is without a doubt one of the most popular eCommerce platforms out there. Because of that, thousands of people host their stores on it. Moreover, many of them are very active and helpful, especially on the official Shopify forums. Thanks to that, you can find answers to almost any question – from completely basic ones all the way to the advanced stuff. Lots of educational material: everybody will find something interesting. 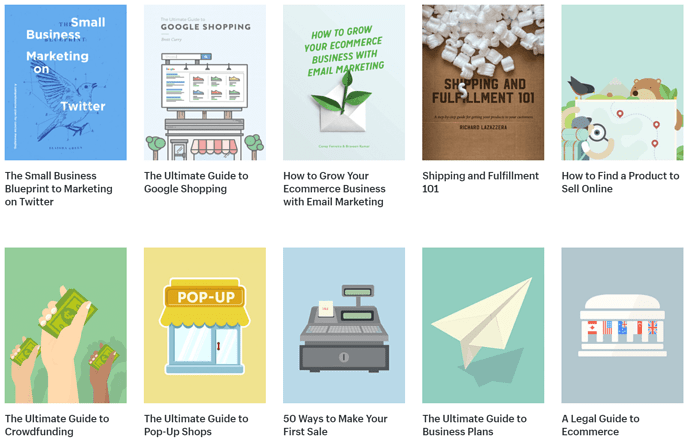 Whether you are a beginner who wants to take a shot at turning a hobby into a business or you already created a Shopify store, you can learn a lot from all the materials that they share. 24/7 Support: do you have a problem and need a quick solution? 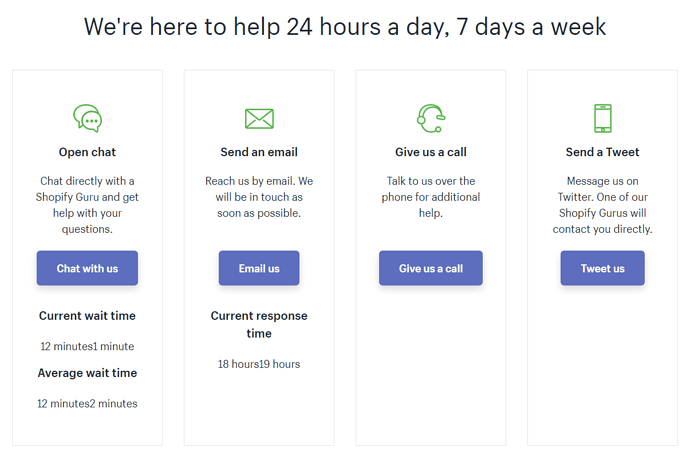 Shopify team is at your service 24 hours a day, seven days a week. No coding skills required: you can use premade designs and add products, pages and categories without knowing a single line of code. Lots of add-ons and tools: there are tens of tools and add-ons created to help you run your store. I could not go over all of them and focused just on some of the official ones. Monthly fees: whether you profit or not, you’ve got to pay. And $29/month is a lot more than the cheapest hosting options available elsewhere. Payment Processing costs: even though they charge you a monthly fee, they also want a cut from your every transaction. And it’s quite big – even if you are on the Advanced plan. You can’t easily migrate to another hosting: because of its unique environment, it’s not easy to move your store out of Shopify should you change your mind or want more freedom. 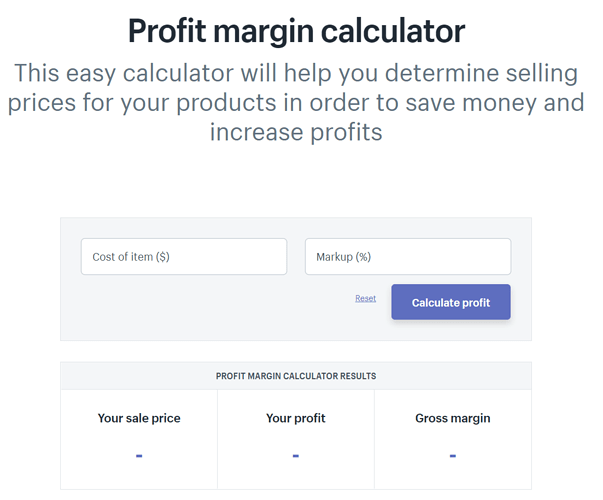 In my opinion, whether you are just starting out on a very low budget, to see if you manage to turn your hobby into a business or you already have a business plan and money to spend – you can’t go wrong with Shopify. Despite its high transaction fees and lack of freedom (which, as a beginner, you don’t need anyway), it’s the best platform out there to make your feet wet. 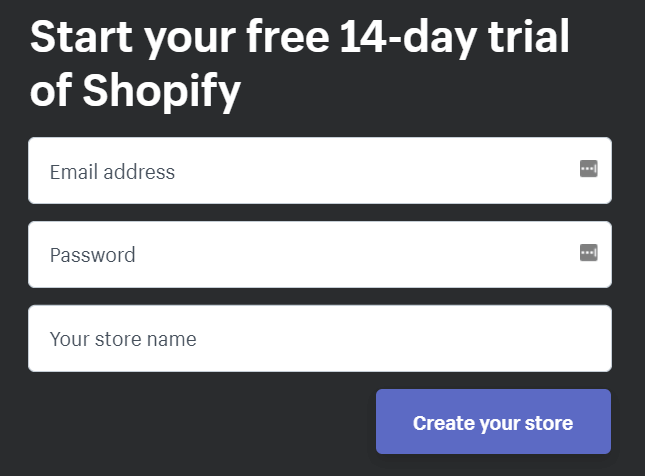 Having said that, if you have a product in mind and would like to start your first business venture, don’t hesitate and sign up for Shopify 14-day trial now.